Sunday’s medal makes Vonn the first female skier to win medals at six different world championships, and it also marks the fifth time she has won a medal in the downhill at a world championship. “After many sleepless nights, I have finally accepted that I cannot continue ski racing,” Vonn said last week of her decision to retire. “I have always pushed the limits of ski racing and it has allowed me to have amazing success but also dramatic crashes,” Vonn said in an Instagram post about her retirement, efficiently summarizing a career marked both by her daring and her resilience in coping with debilitating injury. 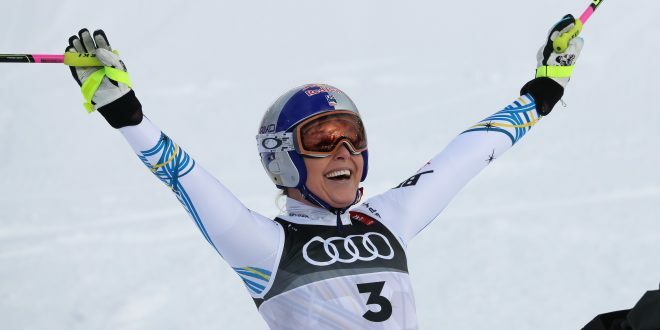 Vonn famously recovered from a crash that devastated her knee in 2013, and she has bounced back from broken bones and other injuries over her 18-year career. But she said recent problems with her knees forced her to make this week’s FIS Alpine World Ski Championships, in Are, Sweden, her last event. One year ago, Vonn was winning races and seemed poised to break Stenmark’s World Cup record. She won a bronze medal in the downhill at the Pyeongchang Olympics. Vonn, who suffered a black eye and sore ribs from the crash, said the light had shifted on the race course, making it hard for her to judge the terrain through the goggles she was wearing. Up to that point, Vonn’s many fans, including rival skiers, had been cheering her on as she tried to carve time out of the course. It was vintage Vonn, and proof that she wasn’t content to drift quietly into retirement. In being aggressive at the last world championships of her career, Vonn did what she has always done: pushing herself to be faster and attacking the course. And if she fell, she always got back up. Injuries are often blamed for taking away Vonn’s chances for more Olympic medals. But she was a dominant force on the world ski circuit, earning widespread respect for her athletic ability and tenacity. Her success, combined with the sense of personality she brought to her sport, helped Vonn win lucrative endorsement deals with brands from Head and Under Armour to Red Bull and Rolex. As she continued to win, Vonn became the face of American skiing. Her image was on magazine covers from Sports Illustrated to Glamour. Her resilience and bravery set an example for younger skiers to follow. And Vonn’s celebrity hit a new peak when she and another elite athlete, golfer Tiger Woods, dated for three years. Along the way, she boosted the visibility of alpine skiing and raised expectations for Team USA on the international level. As Vonn steps away from her sport, her U.S. teammate Mikaela Shiffrin seems ready and able to dominate women’s skiing for years to come. Fittingly, it was Shiffrin who won the Super-G race in which Vonn crashed on Tuesday, with the former slalom specialist securing her first world title in that speed discipline. At just 23, Shiffrin has won 56 races on the World Cup circuit — already putting her third on the women’s win list. Next School Shooters: What’s Their Path To Violence?